Youth unemployment has hit one million. As graduates, the newly redundant, career changers and the long-term unemployed all compete for jobs, who is going to stand up for today’s young people? This books aims to equip young people with the tactics to succeed. Your talent, whether it’s understanding mathematical problems, being able to make things, or to listen and support people, is a part of you. This book will help you to discover your talents as well as ways in which you can develop skills, gain experience and succeed. Step by step it is focussed on understanding the challenge ahead, with practical tips and pointers to succeed, ensuring that you will make it to the finals with the other competitors. Discover your talents. Discover more about yourself and understand who you are. Focus on areas of opportunities, as well as ways to develop strengths. It will show what is out there, as well as ways of making things happen. Importantly, it will help unlock the secrets to the job market and ways to let light shine and grab that employer’s attention. To show the recruiters that you have what it takes for that course. Boot camp might be tough, but each chapter helps prepare for the big showcase. Everything from spotting opportunities and vacancies, through to writing CVs and applications that get you noticed. We can go as quickly as you like, jog our way through, take breathers along the way or simply sprint towards the end. Finally, with the final showcase, how to make a positive impression at interviews, wow-ing the judges and being remembered for letting your talents shine. 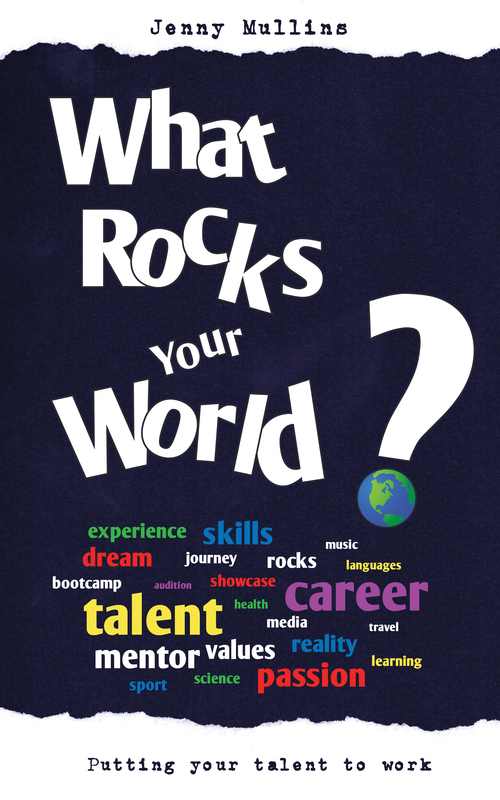 To buy the ebook simply search for ‘What Rocks Your World’ from your ereader. You can also see the ebook for your Kindle or Kindle for PC Software from Amazon by clicking here. Or for the Nook from the Barnes and Noble online store here. It is also available for iPads and iPhones. Search for it in the iBookstore from your device. If you simply want to read the book from your computer as a PDF or text file then the best place to get it is here.